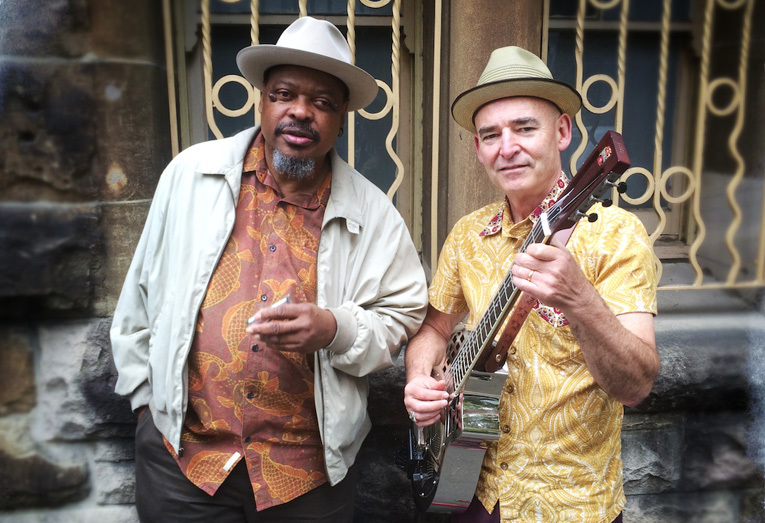 The trans-pacific duo Phil Wiggins & Dom Turner is a collaboration of old friends - America’s foremost harmonica virtuoso, Phil Wiggins and legendary Australian blues guitarist/vocalist, Dom Turner. US Harmonica virtuoso, Phil Wiggins is a 2017 National Heritage Fellowship award recipient from the National Endowment for the Arts. Phil toured the world for the best part of 35 years with the Piedmont Blues duo Cephas & Wiggins. Dom Turner has played and toured for the last 30 years with the legendary Australian blues band, Backsliders. In June 2014 Phil & Dom performed a critically acclaimed series of east coast USA concerts, their first formal collaboration and included a set-list packed with Piedmont, Delta, & Hill Country blues. In October 2014 Phil was invited to the Great Southern Blues Festival in Narooma NSW, Australia to perform with Dom in their first Australian concert together. In early 2015 the duo toured the East Coast of Australia beginning at the Blue Mountains Music Festival and ending at Australia’s most prestigious blues festival, Bluesfest in Byron Bay where they were described as one of the 10 ‘must-see’ Bluesfest acts. Since then the pair has performed at various festivals throughout Australia. The Phil Wiggins & Dom Turner debut album ‘Owing the Devil a Day’s Work’ was released 27 February 2015 through Rocket Distribution (Australia) and through Itunes and the follow up, ‘Wolf Tickets’ will be released in September 2019.